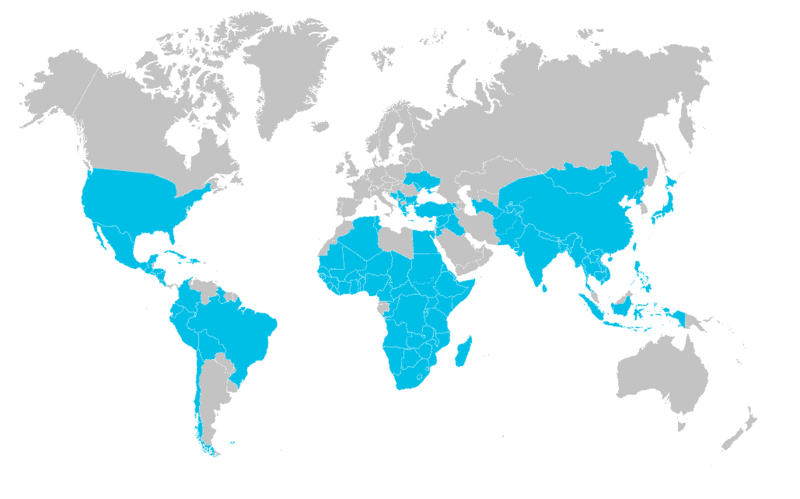 Catholic Relief Services supports hundreds of transformative projects in more than 100 countries around the world. Our work is not built around one idea or one-size-fits-all approach; we tailor our response to the need and the people we serve. As the official international humanitarian agency of the Catholic Church in the United States, we work with the local Church and our partners overseas to create a world where people live as one human family. CRS' relief and development work is accomplished through programs focused on emergency response, HIV and AIDS, health, agriculture, water, education, microfinance, peacebuilding and partnership. Headquartered in Baltimore, Maryland, Catholic Relief Services eases suffering and provides assistance to people in need, without regard to race, religion or nationality. Overseas, we work through CRS offices located in the regions of Africa, Asia, Europe, the Middle East, Latin America and the Caribbean. CRS also works through regional offices within the United States to support Catholic individuals, parishes and dioceses as they strive to live their faith in solidarity with the poor and make decisions as consumers, voters and advocates to promote more just and peaceful societies.